The Future of Learning: How they want it, where they want it, when they want it? Online learning, MOOCs, Open Education Resources, social media, flipped classrooms, blended learning, collaborative and practice based learning … What does it all mean for our courses, for our academics and for our students at UTS? 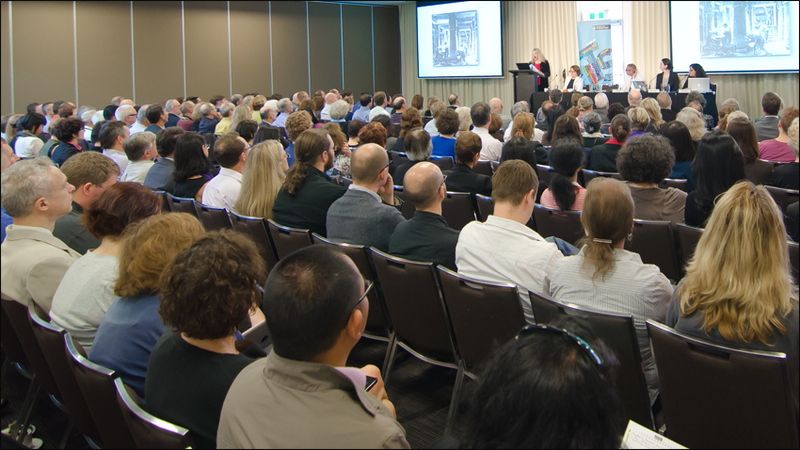 This Academic Board Q&A event was designed to stimulate the sharing of information and excite discussion among the UTS community on this very important topic. It was led by leaders in the field of new teaching and learning platforms. There was large attendance of 220 people who were fortunate to hear presentations from, and ask questions of, a knowledgeable and experienced panel of leaders in the higher education sector. My thanks go to all those who helped to organise and participated in the event. 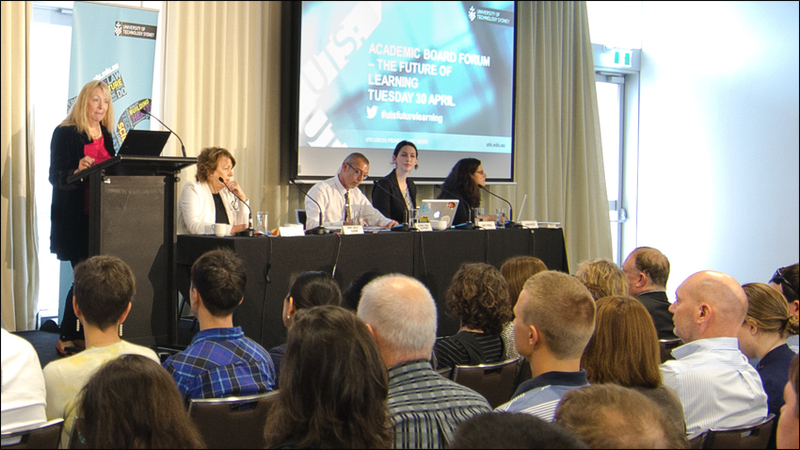 The forum was filmed due to the considerable interest shown by the University community. See event videos. At the conclusion of the event, Jenna Price called for comments from the attendees.